Ableton Live 8 or above. PriZm is an enchanting percussive instrument with a singing soul. The name of the instrument, PriZm, comes from its similarity in shape with the optical "Dove prism". This instrument looks especially great with its blue lights glowing in the dark. The sounds of PriZm in its higher register may remind one of chimes and toy piano. But once the pitch gets lower, PriZm drifts from clear bells into a darker and mysterious world. Through its entire register overtones are distinctly ringing and wobbling in ever changing and unpredictable directions. The initial idea for PriZm was to make a percussive instrument that has lights integrated in its body. 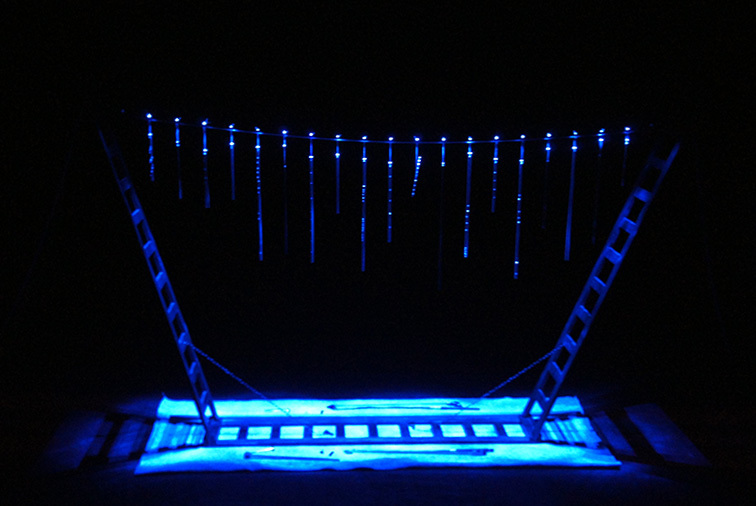 When hitting the tubes, the reflected light visible from the holes starts to twinkle, giving a visual effect of a glittery shine of stars and precious stones. 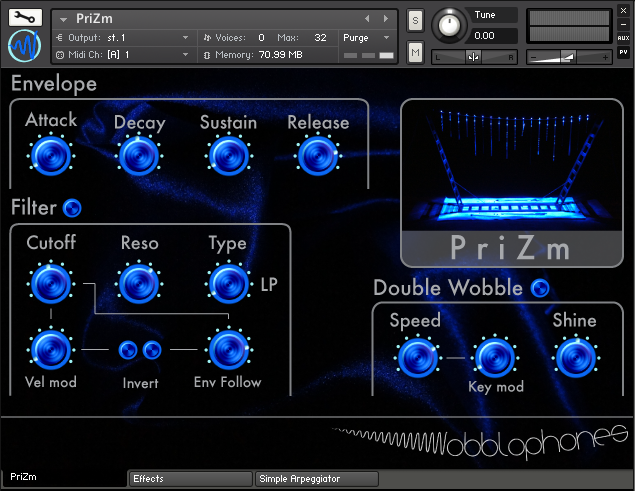 The PriZm sample library for Kontakt 5 and Ableton Live reveals the versatile character and the diversity of timbres of the instrument. Ableton Live Pack (version 8 or 9) and Kontakt 5 library. 11 presets (Ableton Live), 12 presets (Kontakt). Installation size: 1.86 GB (Ableton Live), 1.07 GB (Kontakt).